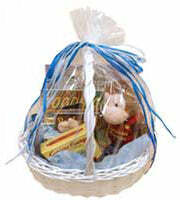 All Baby Baskets, Bundles, and Boxes come carefully wrapped in clear cellophane. 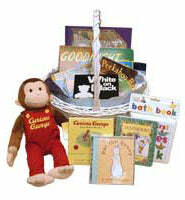 Inside you will find an array of great books hand-selected for each Basket! Remember each Basket is uniquely assembled based on your order. 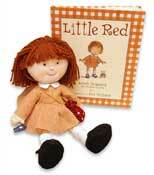 You can make special requests to include a particular popular book or plush toy.